The Carolina Hurricanes have claimed winger Ty Rattie off waivers from the St. Louis Blues and placed backup goalie Eddie Lack on injured reserve. 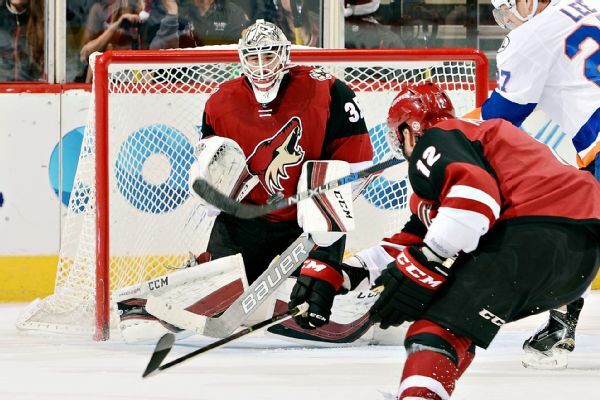 The Carolina Hurricanes are bringing back veteran goalie Michael Leighton. There are perks to playing professional hockey, but journeyman Michael Leighton and his family know it isn't an easy life, not with constant uncertainty, endless moving and life-long regrets. 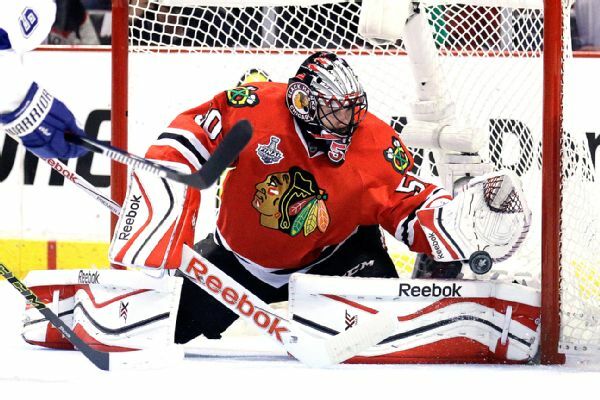 Goaltender Mark Visentin is hoping to work his way up from the AHL and earn a contract with the Chicago Blackhawks. 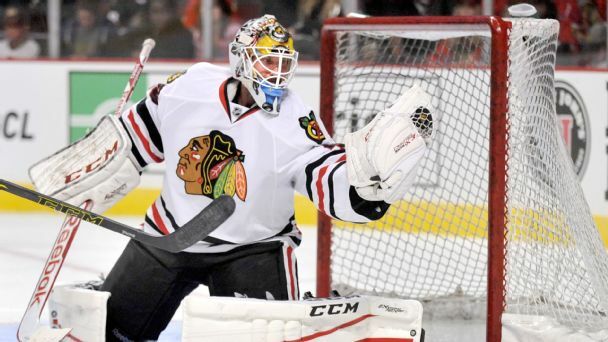 The Chicago Blackhawks assigned forward Peter Regin and goaltender Michael Leighton to the Rockford IceHogs of the American Hockey League after both players cleared waivers on Sunday.